With the continuous boost of eCommerce industry, vast WooCommerce themes also emerge massively. WooCommerce can create a powerful eCommerce store not to mention the professional design it brings and high customization. Aside from that, WooCommerce also comes with a wide variety of analytic tools to help you manage your online store effectively. This collection of 20 Best WooCommerce Themes 2017 will help you find which theme is applicable for your eCommerce business. Whenever you build your eCommerce website, security is a vital factor to consider. With WooCommerce, you can assure that transactions are highly secure and have regular updates for perpetual improvement. Further, WooCommerce offers various analytic tools to measure sales and analyze them. Basically, you’ll be able to have a viewpoint of your business and which things you should be improving. Also, WooCommerce can measure the statistics for different customers individually. Moreover, you can easily keep track of your daily and monthly total sales with WooCommerce. Not only that, order management is also part of WooCommerce. Thus, you can compute the total number of orders you have received, track orders customers are placing and determine delivery peak areas and times. Thanks for this WooCommerce plugin that can be easily added on WordPress that makes eCommerce management never been this amazing. Get to see these 20 Best WooCommerce Themes 2017 we handpicked for you! WooStroid is a multipurpose WooCommerce theme developed to make your online store smart, faster and modernize. It comes with 5 demos that are easy to install and customize. From fashion store, tools, jewelry, lingerie, and marketplace WooStroid can provide you a powerful theme for your online store. Woostroid includes Power Builder, a drag-and-drop page builder that lets you to create pages with awesome layouts in minutes! Whenever you want to customize your online store without much hassle, it is always possible with WordPress Live Customizer which is fully supported by the theme. Change layout of your store, add or remove widgets, select a different color scheme, customize your typography, or choose from a pre-built collection of header and footer layouts. Moreover, Woostroid is fully responsive and retina ready so you’ll never have problems when it comes to mobile shopping. With this feature, your images look sharp on any device and customers can access your shop wherever they are located. Other key features include a product comparison functionality, product wishlist, TM Timeline plugin, Mega Menu, multiple blog layouts, Cherry Projects, collection of Google fonts, social networks integration, icon fonts, and many more. The theme is SEO optimized and supports such plugins as bbPress and BuddyPress. 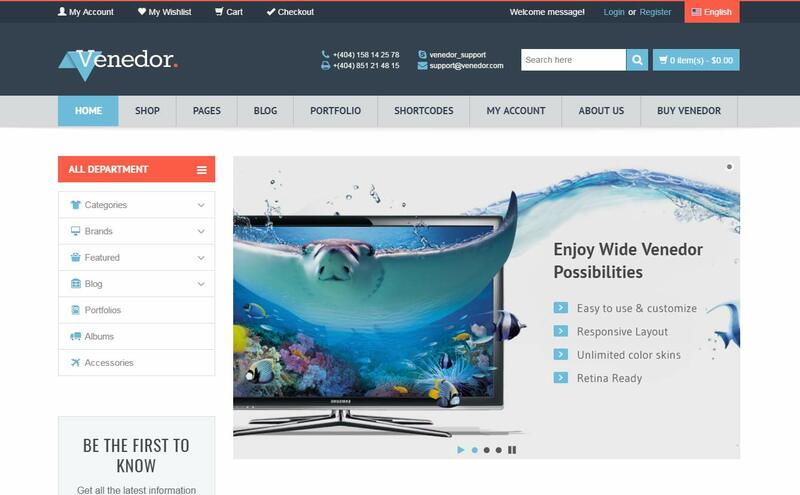 Besides being fully compatible with WooCommerce, Woostroid is also Ecwid ready. 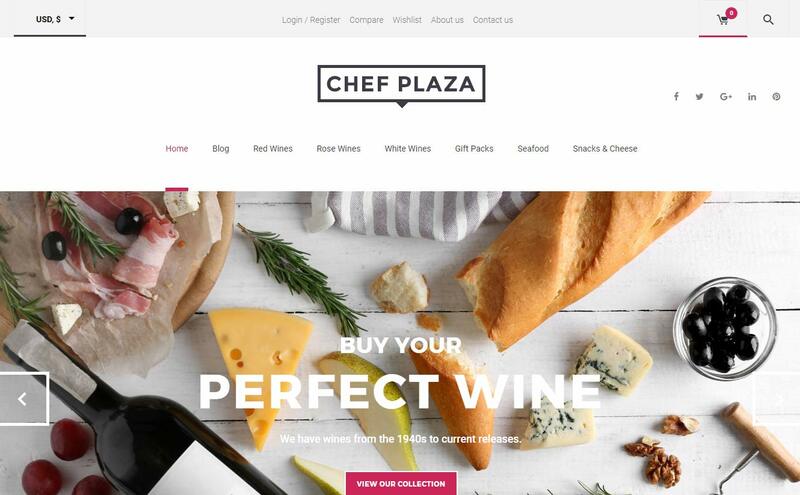 Chef Plaza Food and Wine Store is a Wine Bar WooCommerce theme with clean and modern design. With the product category tabs you can classify products into logical categories for a more faster searching of your customers. Key features include intuitive UI oriented at user experience, SEO friendly code, integrated Wish List and Compare plugins. Chef Plaza is built with Cherry Framework and complemented with Power page builder plus modified Live Customizer. It is fully compatible with WooCommerce, and offers a series of improvements such as WooCommerce Pack plugin with banner grid and product carousel. Moreover, when you get to buy this theme a 24/7 support and detailed documentation is guaranteed to aid you in building your online store. If you need a theme for home decors and furnishings online supermarket, then look no further! Walden is all you need! 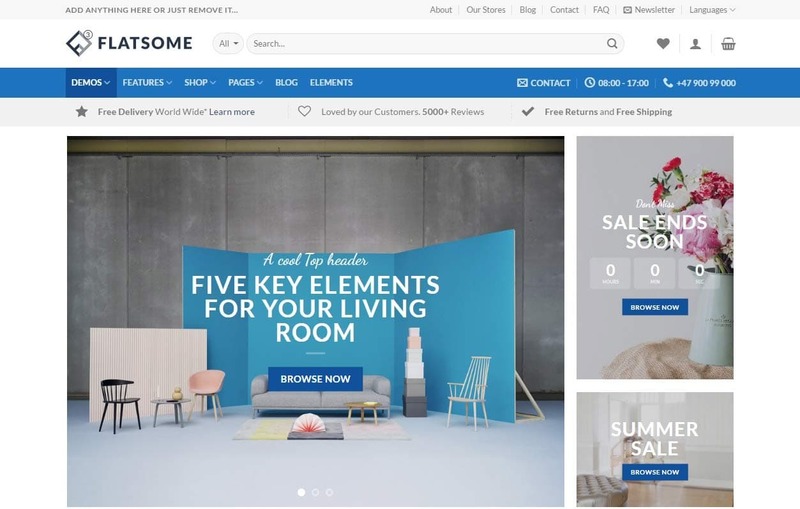 It’s a WooCommerce theme packed with awesome features that will cater your home décor and furnishings products. Its clean and minimal design will present your products in a professional and attractive way your customers would love. Key features include TM WooCommerce Package for an advanced banner grid management, product carousel; TM Compare and Wishlist plugin for wishlist and compare function; TM Megamenu for an elegant and professional navigation and much more. Walden was built with Cherry Framework 5 for easy content management and integrated with a live customizer for easy editing. 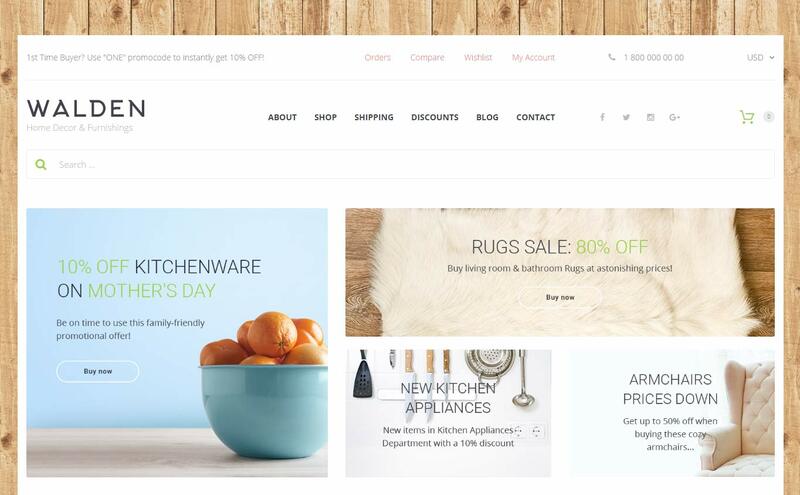 Using this well-documented theme, you'll set up your store in no time. If you come up with any questions on your way, you can use a free, lifetime service of premium support. Our professionals will readily help you at any time, 24/7. 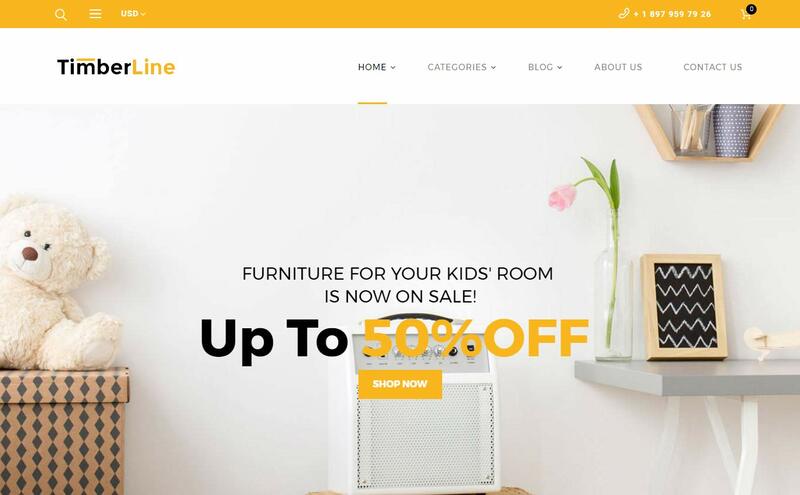 Timberline is a WooCommerce theme ideal for furniture store. It has a clean, elegant and minimal design that is pleasing to the eyes of your visitors. 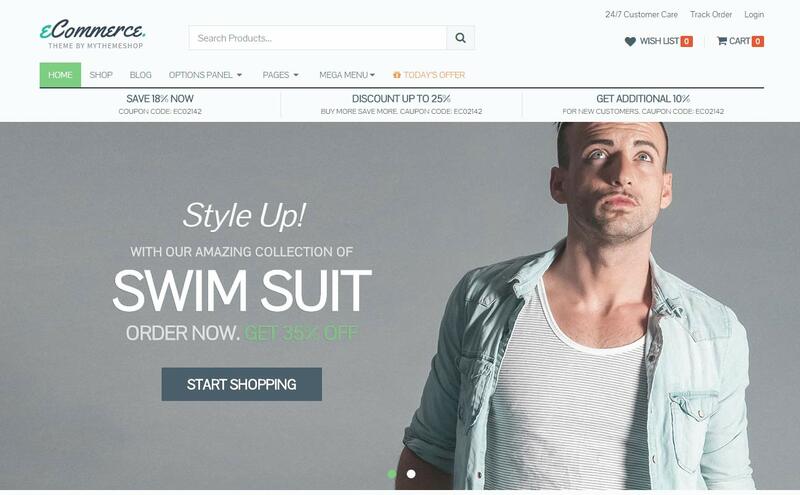 This theme has necessary features to aid you in managing your eCommerce store with ease. Features include product sorting where your visitors can filter products by criteria; product category tabs for product organization; product carousel widgets for showcasing products, latest arrivals, discounts etc. There is also a modern portfolio to present your house interior projects with style. When it comes to running promos, you will find it easy with a banner manager. Customers can add their favorite items to the wishlist to see them all at once and optionally remove those they like the least. It's also possible to compare products by their main parameters in a table. 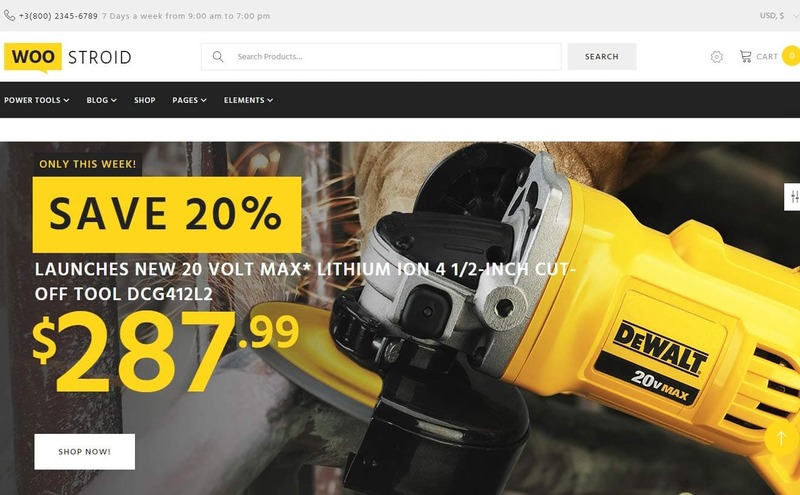 Have you been hopping around the net looking for the perfect eCommerce theme to cater your car parts business? If you do, then you’ve got to check this WooCommerce theme now! 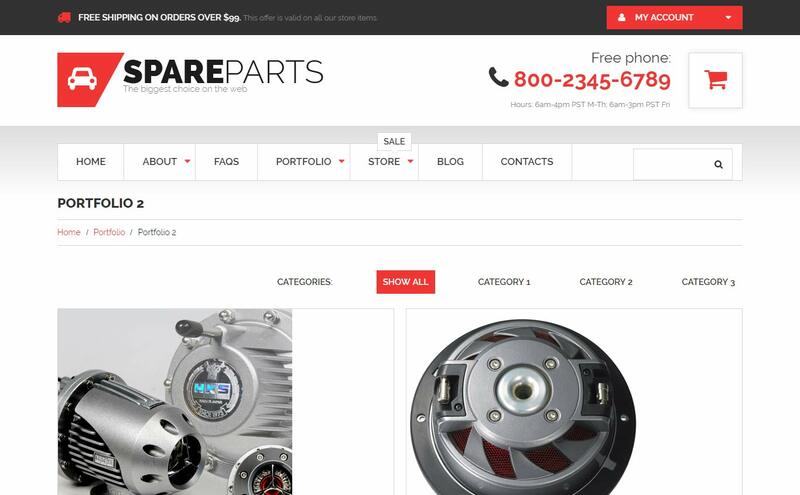 Car Parts Store is a WooCommerce theme that can help you run and manage your Car Parts business effectively. With this theme you can introduce your products to a wider audience as the template is fully responsive. Another great thing is a hot style of the template, it features a full-width slider and full-width images that give the page a striking look. Besides the number of custom features and functions the car parts WooCommerce template offers a clean layout and user-friendly interface for you could reach more customers in the short run. Flatsome is a multipurpose WooCommerce theme built to provide your online shop the ultimate refinement it needs. It comes with 15 shop demos that you can customize or readily use. With the Live Page Builder adopted in this theme, you can now build an out of the box design instantly. Flatsome is built with minimal and optimized code so it gets high google page speed. This theme has also built-in wishlist, built-in quick view for individual products, customer reviews and other important elements to help you build a unique and user-friendly online shop. Check out the demo now. 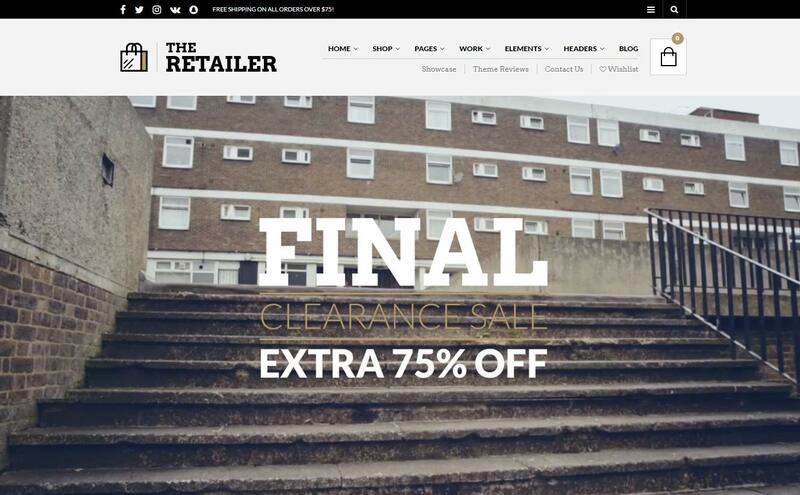 The Retailer is a responsive WooCommerce theme packed with key features needed to run and manage your online shop with ease. This eCommerce theme is a good solution to sell your variable products online. From e-Books, digital photography, music, design templates and other downloadable products The Retailer is a good choice. This theme also offers Customer Reviews which is a good way to engage your users for better social media validation. The Retailer offers various payment methods which includes PayPal, Credit Cards or Cash on Delivery. You can also monetize with the theme by selling products from external sites and affiliate partners such as amazon.com. See what this theme can do to your business! Get to see the demo now! Bazar Shop is a multipurpose WooCommerce theme with a fresh and creative design. Key features include Wishlist, Zoom effect in product detail, pop up plugin for special offers and promos, news etc. Megamenu with images support; List/grid view in the products page; 2 custom checkout pages (a nice tabbed checkout page); “Catalog mode” to use the theme like a catalog, without the cart option and with a “product enquiry form” ; Filterable faqs and more. 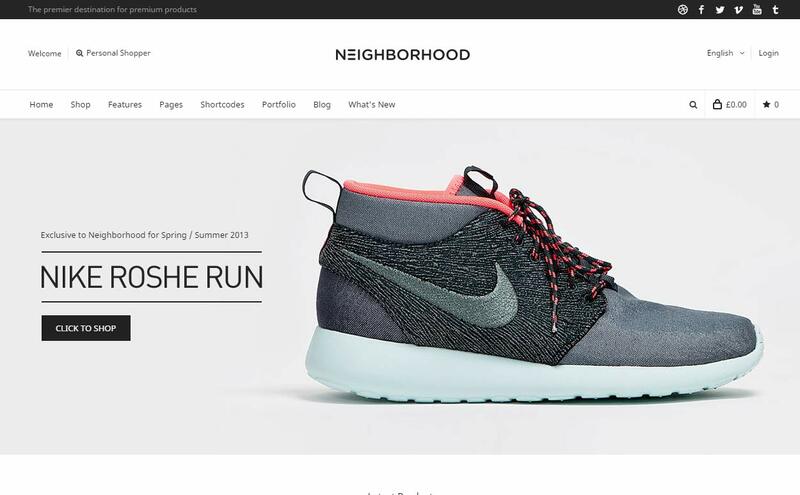 Neighborhood is a flexible WooCommerce theme with super responsive, retina ready, and built upon the 1170px Twitter Bootstrap framework. Some of the vital features include Wishlist Integration, Catalog Mode, Product Zoom Functionality, powerful meta options and more. The theme is SEO optimized so getting a high rank in search engines is made easier. Neighborhood comes with full typography options, page layouts, header options, footer options along with blog post meta options, unlimited portfolio pages, and more powerful customization. See how it works now! 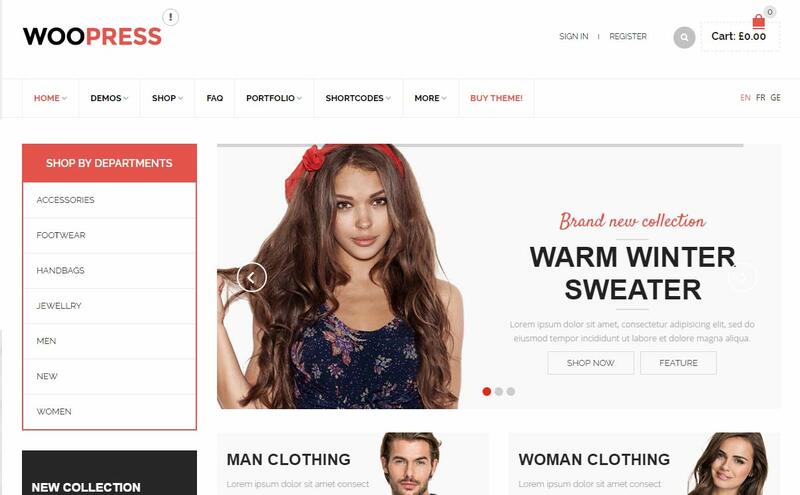 Legenda is a multipurpose WooCommerce theme with a clean and intuitive design. It comes with 16 versions that you can choose from. 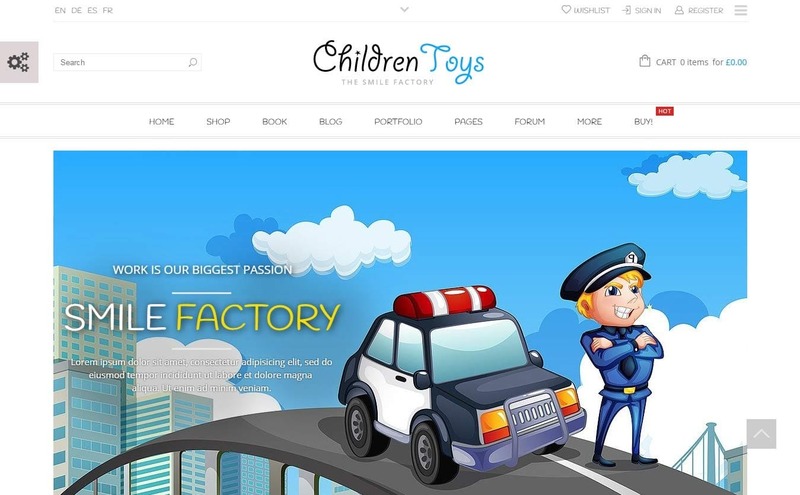 Whether you want a Onepage shop, parallax version, dark version, or you need a fashion shop, candy shop, car, games shop, video shop, or toys shop Legenda has got them all for you! The theme is fully responsive so you can capture leads from diverse mediums like tablets, mobile or desktop. Legenda has Advanced Theme Panel, Visual Page Composer, AJAX Filter, Different Blog layouts: Grid / List / Timeline, Different Shop Page Layout (5, 4, 3 products per row), Testimonials Widget, Improved Checkout Process, Advanced Grid System, Custom Product Page Layout, Easy Installation with Video Tutorials, Includes Amazing Revolution Slider Plugin, XML with demo content, A Lot of Shortcodes and so much wonderful features to run your online store. 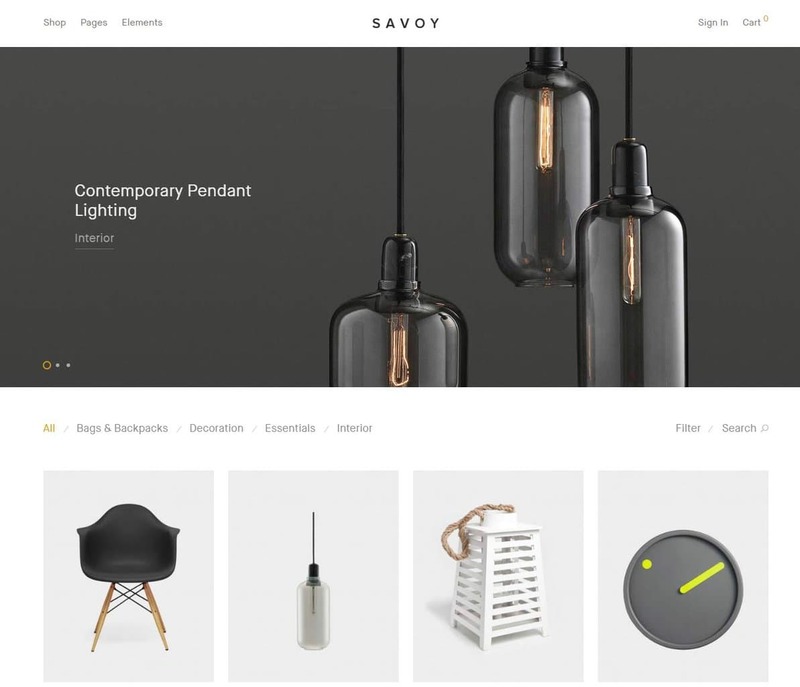 Savoy is a minimalist Ajax WooCommerce theme that comes with an Ajax functionality for a smooth user experience. Savoy has retina ready graphics, Full-screen gallery for product images with zoom, Mouse-over zoom/pan option for product images, Product image “lazy-loading” for improved performance, Product Wishlist (optional) and more. Premium plugins are also included in the theme including Visual Composer drag and drop page builder, Slider Revolution, Translation/WPML ready Google Web Fonts, Typekit and Fontdeck integration. 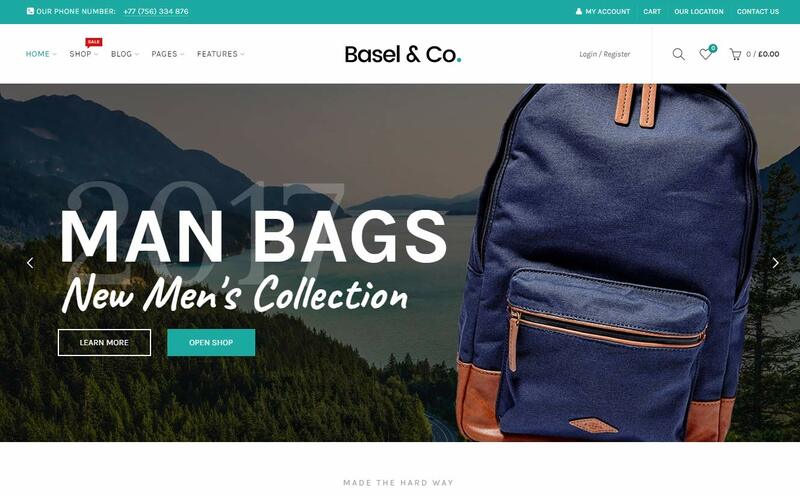 Basel is a responsive eCommerce theme with a professional minimalist Ajax design that can help you build a powerful eCommerce store in minutes. Using popular Drag & Drop page builder, a lot of theme settings and options, premium sliders and WooCommerce, you are able to create a heavy store that looks perfect on any screen resolution. Whether you want to build an online store for wine products, fashion, electronics, lingerie, cosmetics, jewelry, cars, watches and other online business Basel is ready to cater your needs. From a bunch of customization options you can create your website just the way you want it. It comes with powerful plugins like WooCommerce, Slider Revolution, Visual Composer and more. See how it works now! If you plan to open-up a marketplace for digital products, then you should see Marketify now! 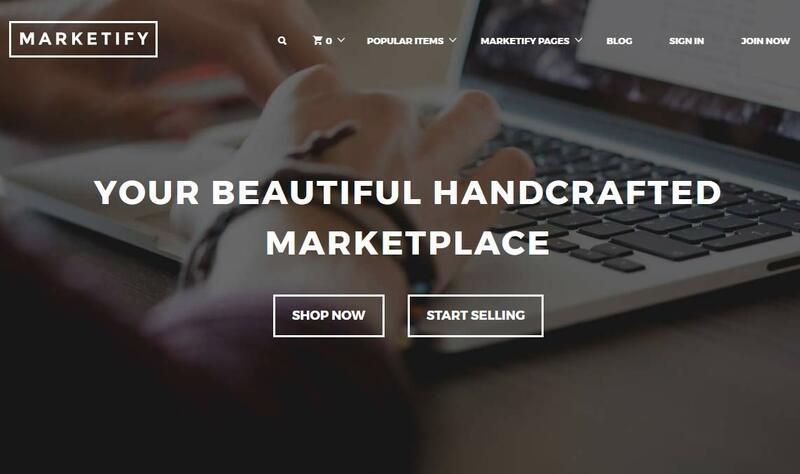 Marketify is a digital marketplace eCommerce theme that is built with Front-end submissions for creating an online digital marketplace; Commissions to split revenue with vendors; Recommended Products for Cross-selling products on your store; Wallet for adding a store credit; Wishlist for customers to save and share products and reviews for customer feedback. See other features in the demo now! 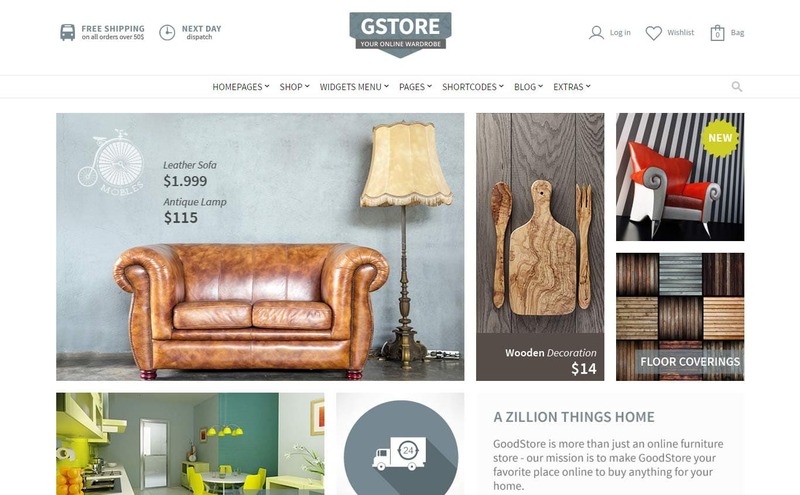 GoodStore is a WooCommerce theme packed with 22 predefined layouts that you can choose from for your online store. The theme is SEO optimized, mobile friendly and responsive. GoodStore is also optimized for retail products, customer reviews & product ratings. GoodStore supports various powerful plugins to help you create the best theme for your eStore like WooCommerce New Product Badge, Sold Out Products, Product bundles, Zoom Magnifier, Compaq and Wishlist; Contact Form 7; Revolution Slider; Wysilja Newsletter; Cache plugins: W3 Total Cache, WP Super Cache; Envato WordPress Toolkit and YOAST WordPress SEO plugin. Venedor is a WooCommerce theme packed with 14 awesome demos that you can directly use or customize as you want. Venedor is fully responsive and retina ready so your site always looks good on mobile and tablets with sharp and sleek graphics. Venedor comes with great revolution slider for a professional showing of images, Visual Composer for drag and drop page building; WooCommerce for a powerful and fully functional online shop. You may check the demos to see how it works. 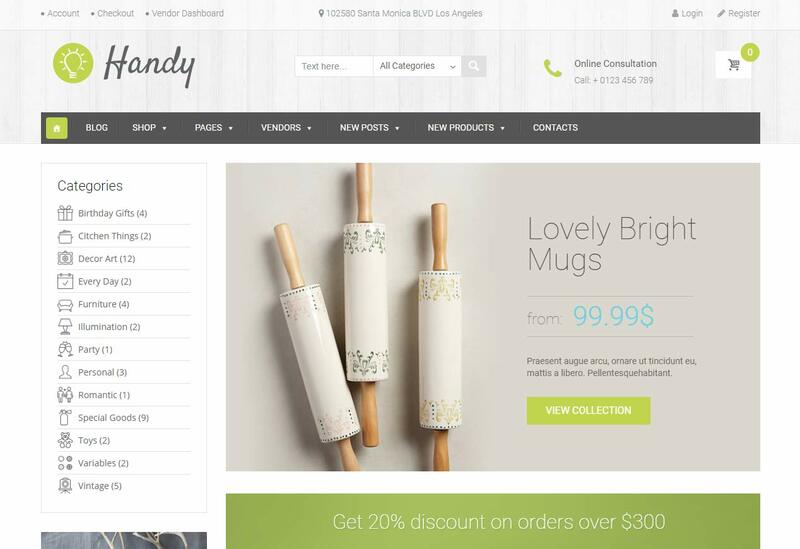 Handy is a WooCommerce theme ideal for handmade online shop or handmade goods marketplace. If you have been hopping around looking for a theme to accommodate your handmade products then you’ve got to see Handy right away! It comes with various features necessary to run and manage your online store with ease. Get to see the demo now! eCommerce is a WooCommerce theme with modern and professional design for eCommerce websites. The theme is fully responsive which supports both physical and digital products so basically you can sell hardware stuffs like clothes, accessories as well as software like eBooks and so on. You can also monetize via affiliate since eCommerce theme has built-in support for affiliate marketers. eCommerce also supports Yoast SEO for search engine optimization strategy. Aside from the beautiful design of the theme an easy customization is guaranteed so you can change background, color, and other elements to your preference. It also has Ajax loading for faster loading, Ajax filters, Ajaxz live search, comparison tool, wishlist and is speed optimized. WooPress is a responsive eCommerce WordPress theme with professional, sleek and powerful design ready to showcase your products online. WooPress comes with 20+ ready to use demos for your online store. 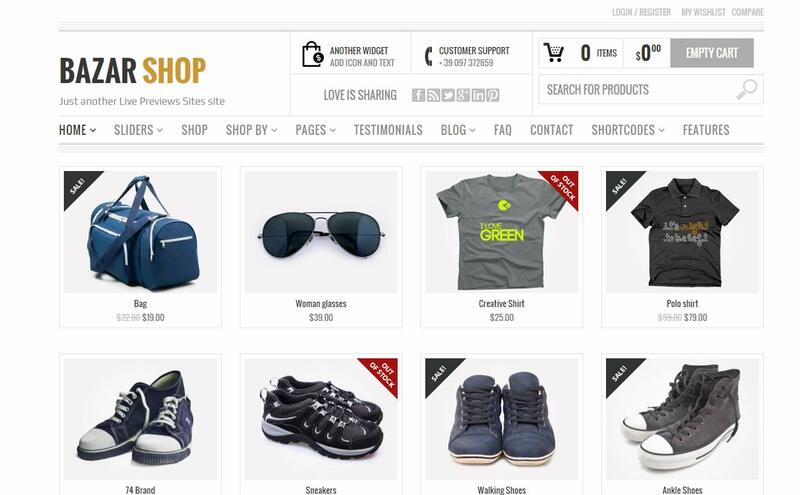 With WooPress you can build your own modern online store in just a few clicks away. This theme has all the elements a premium theme has such as Revolution Slideshow, Page Builder, 8theme ShortCodes and widgets. It’s 100% responsive. The design is beautiful and adaptive; it means all the page layouts work perfectly on all devices, from large monitors to smartphone’s.